Below is our class schedule for the upcoming 2018-2019 dance year! Please note that the 2018-2019 schedule was last updated on August 18, 2018, we will update this schedule as changes become available. 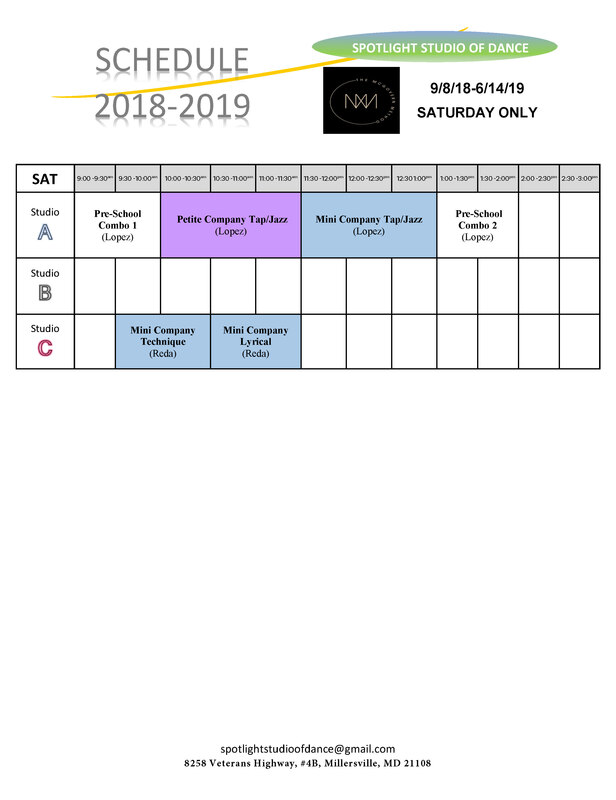 We offer Acrobatics, Ballet, Combination Classes, Contemporary, McGovern Method Conditioning, Hip Hop, Jazz, Lyrical, Pointe, Pre-school Combo, and Tap. Download the 2018-2019 Registration Form (PDF format) here. Please send your completed Registration form to spotlightstudioofdance@gmail.com and our staff will contact you with additional information. 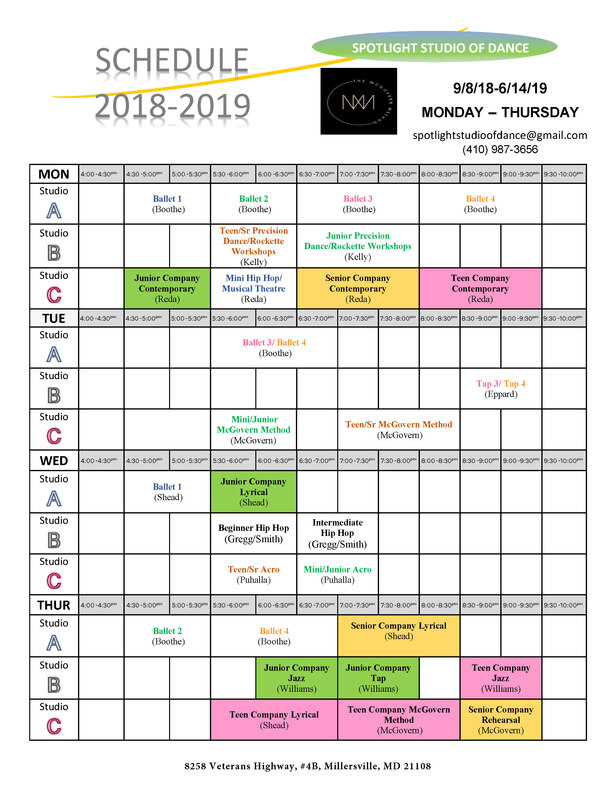 Download the complete 2017-2018 Spotlight class schedule (PDF format) here.